The Charles R. Drew Prep School for Boys is dedicated to the creation of strong, ethical black men. Pharus wants nothing more than to take his rightful place as leader of the school's legendary gospel choir, but can he find his way inside the hallowed halls of this institution if he sings in his own key? Known for his unique brand of urban lyricism, Tarrell Alvin McCraney follows up his acclaimed trilogy The Brother/Sister Plays with this affecting portrait of a gay youth trying to find the courage to let the truth about himself be known. 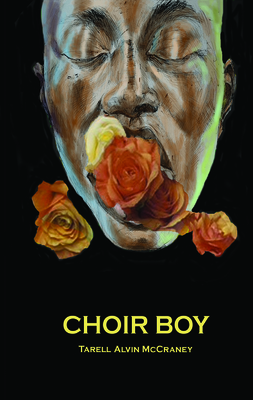 Set against the sorrowful sounds of hymns and spirituals, Choir Boy premiered at the Royal Court in London before receiving its Off-Broadway premiere in summer 2013 to critical and popular acclaim. Tarell Alvin McCraney is author of The Brother/Sister Plays The Brothers Size, In the Red and Brown Water, and Marcus; Or the Secret of Sweet. Other works include Wig Out , set in New York's drag clubs, and The Breach, which deals with the aftermath of Hurricane Katrina. His awards include the 2009 Steinberg Playwrights Award and the Paula Vogel Playwriting Award. Tarell Alvin McCraney is author of The Brother/Sister Trilogy: The Brothers Size, In the Red and Brown Water, & Marcus; Or the Secret of Sweet. His other works include Wig Out! set in New York's drag clubs and The Breach which deals with the aftermath of Hurricane Katrina. He was the first recipient of the New York Times' Outstanding Playwright Award and has also won the 2009 Steinberg Playwrights Award and the Paula Vogel Playwriting Award. In 2013 he was awarded the prestigious MacArthur Fellowship, colloquially known as a "genius grant."